NeoBoot - Latest Version - DOWNLOAD ONLY! VU+ Help & Support This is where to post if you need help & also browse to see if your question may have been asked before for solutions. Post here if you are experiencing any issues using enigma2 plugins, please include info about your vuplus model & image version. Post here if you are experiencing any issues with EPG, channel list or tuner settings, please include info about your vuplus model & image version. Support section for issues with skins, picons, bootlogos & spinners, please include info about your vuplus model & image version. Post here if you are experiencing issues using any software designed to connect to enigma2 receivers. Post here if you are experiencing issues with subtitles or audio ,please include info about your vuplus model & image version. Post here if you are experiencing issues with your satellite dish or motor. Post here if you are experiencing issues with vuplus hardware, please include info about your vuplus model & image version. Post here if you are experiencing issues with vuplus remote control, please include info about your vuplus model & image version. Post here if you are experiencing issues related only to a specific image, please include info about your vuplus model & image version. Post here if you are experiencing issues with iptv or streaming, please include info about your vuplus model & image version. Post here if you are experiencing issues flashing or backing up an image, please include info about your vuplus model & image version. Post here if you are experiencing issues using multiboot on your vuplus receiver, please include info about your vuplus model & image version. Multi Boot Support NeoBoot - Latest Version - Support thread! Post here if you are experiencing display or lcd issues, please include info about your vuplus model & image version. Post here if you are experiencing issues with recordings or timers, please include info about your vuplus model & image version. VU+ Tutorials, Guides & Manuals Everything required to get the most from your vu+ receiver is here. Guides written by members of our community to help you get the best out of your vuplus receiver. Information to help configure some of the most popular enigma2 addons. 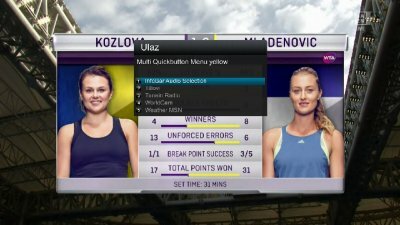 Information to help configure iptv & vuplus-kodi on your vuplus receiver. Information related to software features of specific image teams. Information to help configure satellite dish, tuner and channel lists on vuplus receivers. Information on softcam & smart card configuration. VU+ receiver manuals & PDF guides which the forum software will open in your web browser. Download - VU+ Firmware download of vuplus images in this section. Experimental and homebuild images for all VU+ receivers. 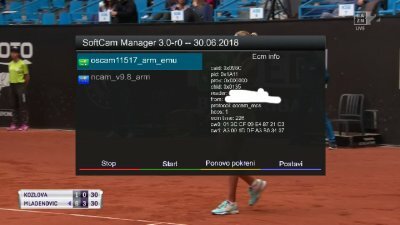 Preconfigured firmware images created by members at home then shared with the community. Download - Settings, Tools & Addon's Channel lists, settings, skins, picons, bootlogos, plugins ect can be found here. Also known as enigma2 channel list. Picons are small images that appear when zapping channels. Alternative spinners, start up, radio & shutdown screens & LCD & VFD Settings for your VU+ receiver. Download Bootlogos How do I transfer just one installed addon from one Kodi to another? Streaming & media plugins here. 1Channel,TSmedia, Dreamplex ect. 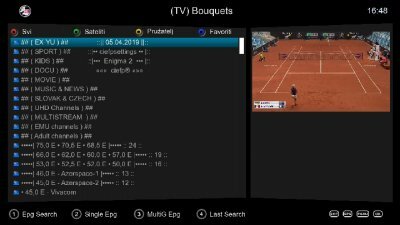 EPG, OSD & Settings (autobouquets) related plugins here. Cross epg, Vali's virtual zap, Cool tv guide ect. All music plugins can be found here. E.G Muzu.tv, Merlin, YAMP ect. Any sports related plugin belongs here. Live football, live score ticker, sports highlive ect. Addon panel & extra urls' belong here. 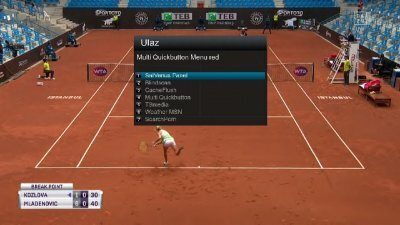 Vuplus-Images Addons, TSpanel, CCcamExchangeAddons, ATV softcam feed ect. Any plugin that does not belong in the sections above can be found here. E.G Lotto checker, softcam info, screen saver. VU+ compatible channel list & settings editors, ftp client, toolboxes and much more. Downloads related to the VU+ KODI addon. Hot off the press! The latest satellite tv related news & discussion. Post feeds found on the web for sports & other events (concerts) that may be of interest to members. Discuss favourite sport topics here. Download & discussion of non VU+ satellite receivers. stefandeda posted the thread Black Hole VU+ Solo 4K Images Black Hole 3.0.9 Multistream Vu+ Uno4K SE in Black Hole Team VU+ Images. mika posted the thread VU+ Zero4K Backup Images Black Hole 3.0.9 Multistream vuzero4k (BKP) by @mika in VU+ Zero4K Backup Images. dreamuser reacted to adam59's post in the thread OpenPLI Image Skins skin ZFlatGYRFHD for OpenPli 7.0 with Like. bellejt replied to the thread Plugins Support - IPTV E2Player (IPTVPlayer) E2 Plugin - SUPPORT THREAD!. found error : older version off winrar.Updated and all working fine.Thx guys. tumucin reacted to DirtyDonki's post in the thread Black Hole VU+ Duo 4K Images Black Hole 3.0.9 Multistream with Like. vusolo2 replied to the thread VTi Image Release VTi 14.0.x. Online Updates. krtu74u reacted to DirtyDonki's post in the thread Black Hole VU+ Zero 4K Images Black Hole 3.0.9 Multistream with Like. andrzejch1972 reacted to DirtyDonki's post in the thread Black Hole VU+ Ultimo 4K Images Black Hole 3.0.9 Multistream with Like. 1emca1 reacted to DirtyDonki's post in the thread Black Hole VU+ Duo 4K Images Black Hole 3.0.9 Multistream with Like. Aliraza63 reacted to Vmax's post in the thread VTi Image Release VTi 14.0.x. Online Updates with Like.